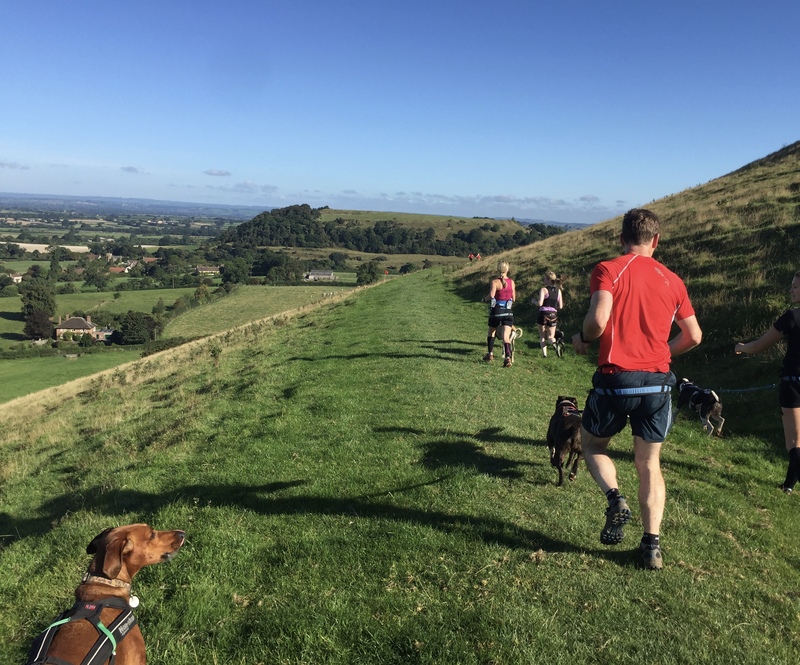 This was the first time I have taken part in the Camelot Challenge Half Marathon (Sherborne, Dorset) and I have to say it was great fun and set in a really beautiful location. Plus, there was a humongous amount of cake at the end so what’s not to like? This just about made up for all the stiles we had to negotiate, of which there were many…a couple where we had to physically lift the dogs. This is worth noting if you canicross with a dog that isn’t comfortable being lifted or is simply too heavy for you to lift. 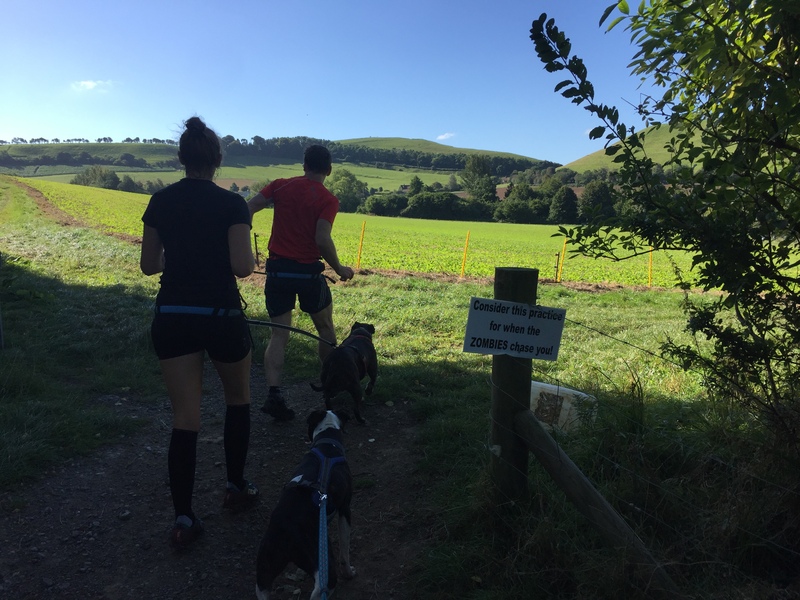 The event welcomed dogless runners, canicross runners, walkers and horse riders so it had a very friendly, relaxed and welcoming feel to it. The weather also helped! 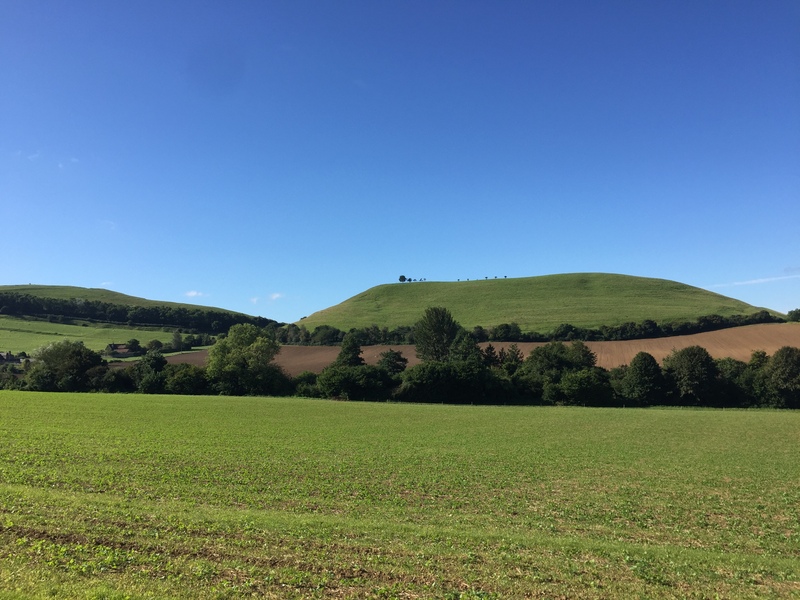 The route itself was a little heavy on the tarmac for my liking (about 20%) but the rest of the course was off-road with a few fields and footpaths and we were rewarded with stunning views from the top of some of the challenging climbs we had to endure. The marshalling and signposting was superb. There was even a marshall in one of the fields where there was cattle and he made a point of warning us and helping to keep the inquisitive cows away from the dogs. We had plenty of water on the way round, for both humans and dogs, and there were also a couple of streams and handy puddles dotted around as a result of a downpour the day before. So the dogs were well catered for. We’ve had unusually warm and dry weather for this time of year so the ground was very hard and uneven in places, especially the first couple of fields we ran in. So we had to take it easy to avoid any ankle injurys. Unfortunately, we found the start confusing. Canicrossers had been asked to start along with the walkers 15 minutes after the mass start but had to wait in the near-by car park until instructed to make their way over to the start that was on a narrow road. When we did head over we couldn’t see where the physical start was as there were loads of people walking along the road and we couldn’t tell if they had actually started or were walking to the start! 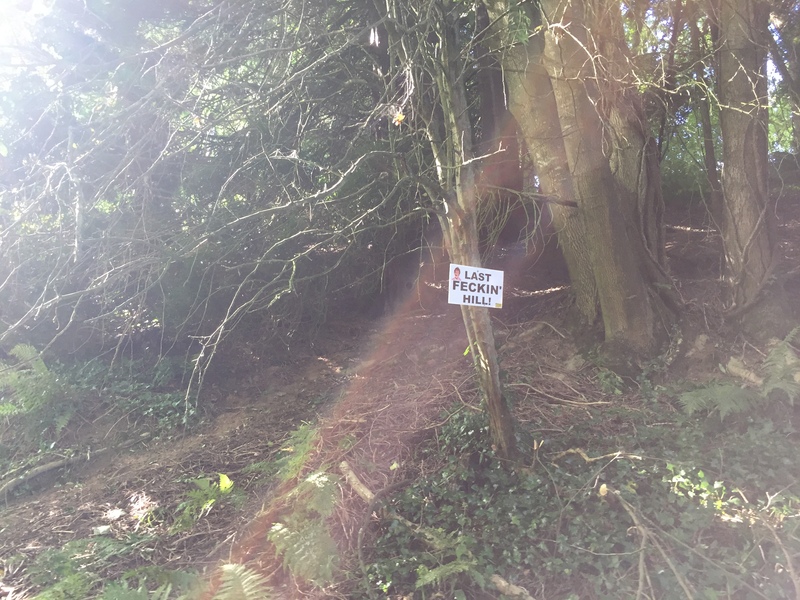 I mentioned that the course had a few hills in it. 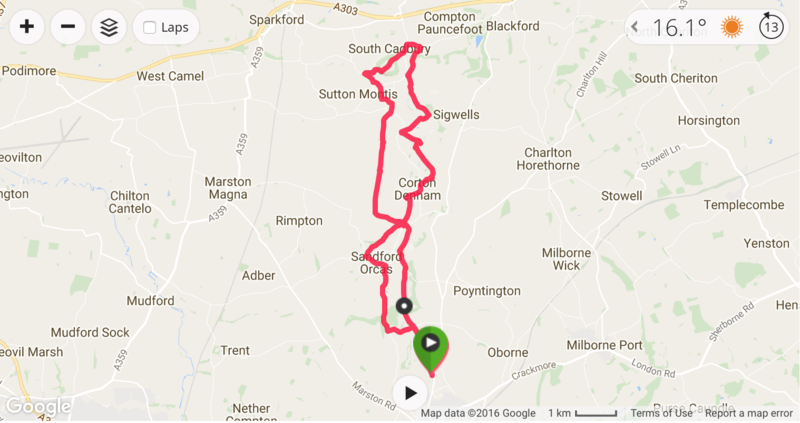 There were probably four or five significant ones, the rest of the course being undulating. 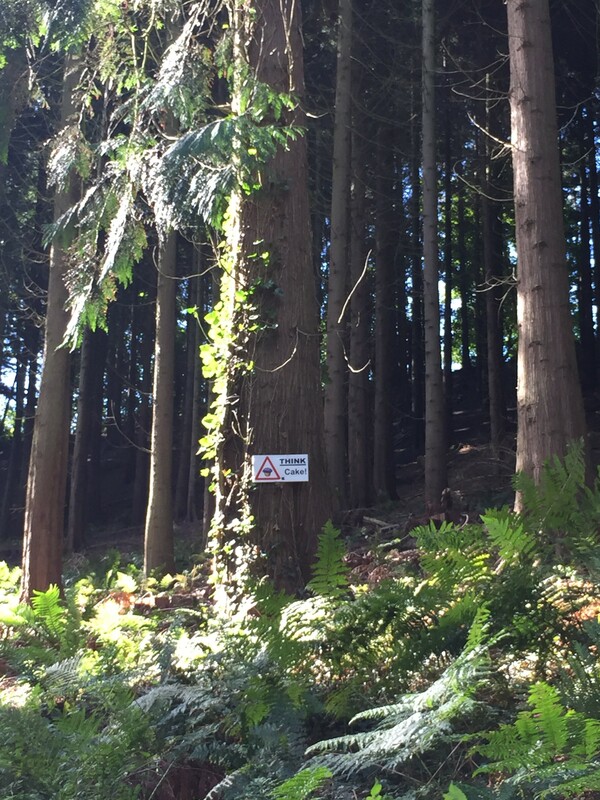 We ended up doing a total elevation of 426 metres. The start/finish area was at the Gryphon Sports Centre in Sherborne. There was plenty of parking and we could use the sports centre facilities – shower, toilets etc – which made a nice change from most races I’ve entered. 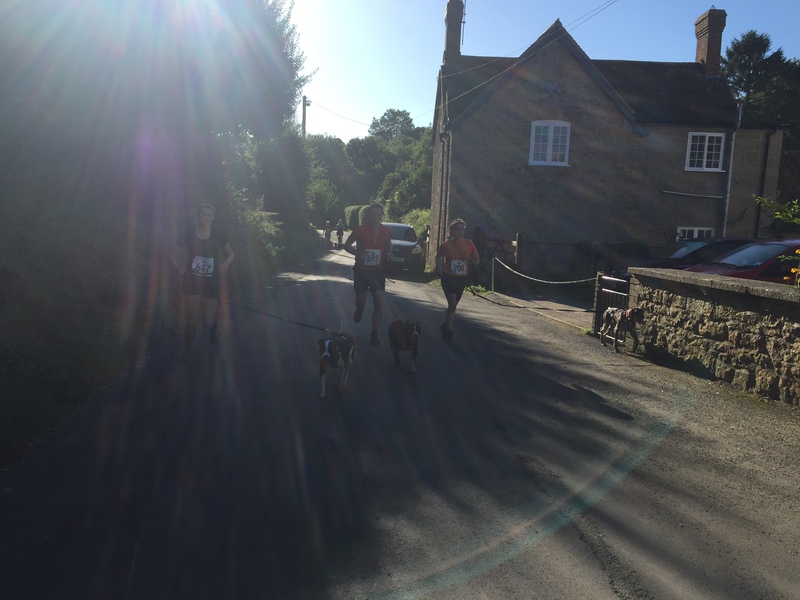 All finishers received a medal plus the dogs were given a neckerchief. 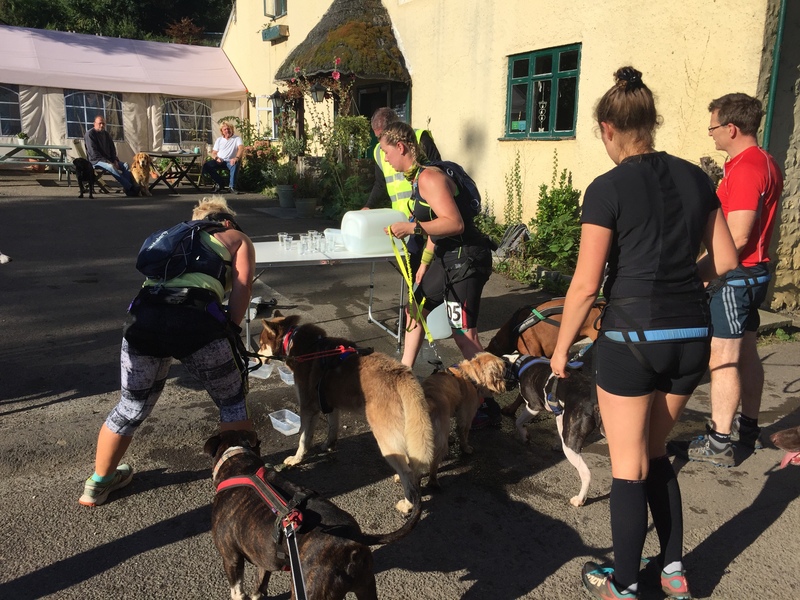 To sum up, the Camelot Challenge was very welcoming to canicrossers, had a fantastic atmosphere and was very well marshalled. But I’d say it wasn’t really the best event to properly race given all the obstacles. 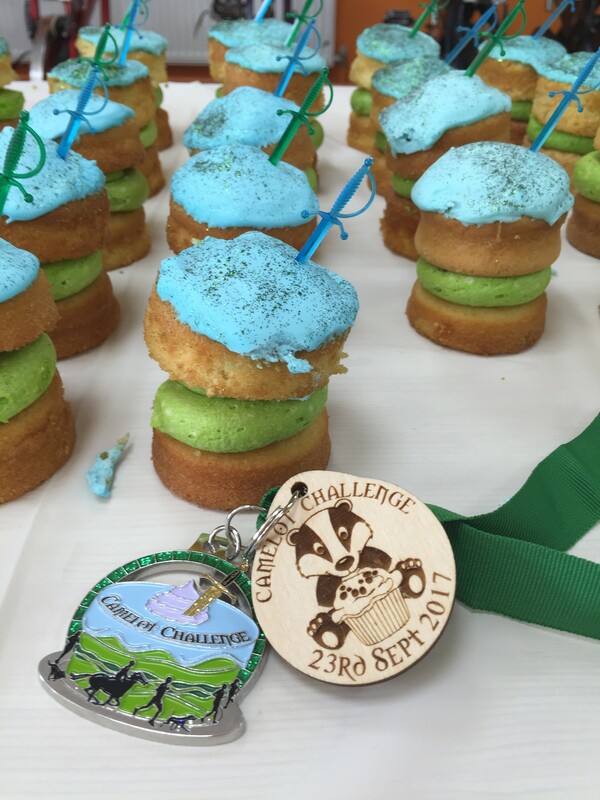 I’d recommend it if you want a challenging and friendly course…and of course, if you lurve the cake!